Placing your web site on Innovative Internet Solutions high performance servers is an economical way to establish an Internet presence. Virtual hosting does not require you to purchase any hardware, software or maintenance contracts simply select the plan that best suits your needs and we take care of the rest. Innovative Internet Solutions owns, maintains and supports it's own servers allowing us full control and flexibility to manage your web sites. After selecting an appropriate plan we will prepare the hosting services allowing you access to your web site within 24 hours. 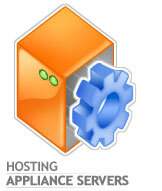 In addition to the services that we offer for virtual hosting we also offer the use of FrontPage server extensions. These extensions enable you to publish and manage sites created with Microsoft® FrontPage® 2002 -based Hosting. For those applications which require large amounts of data storage, and dedicated server performance Innovative Internet Solutions offers Server Hosting. 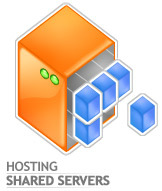 We place your server in our facility directly on the backbone allowing you the same backbone performance as our servers while utilizing your private server. Pricing is based on your requirements, and desired equipment.